This History of the Hub was prepared for the Bristol Historical Society at the invitation of Gerald Heffernan. If you have more historical information – especially photos – please let us know! We’d love to make the story as complete as it can be. The Hub building was originally a bingo hall pavilion, located on a former agricultural fairgrounds on Parcel #225017. It’s bordered on the west by the American Legion, on the east by an antique road (a former entrance to the fairgrounds) and open recreation field; on the south by VT Rte. 116 and on the north by a gravel parking area and remainder of the recreation field, including the grand stand named “Big Red” and an ice skating rink. In 1998 The Bristol Recreation Department partnered with the University of Vermont ‘Expanding the Caring Community Program’ to develop programming for youth within the Town of Bristol. At the same time, the Bristol Recreation Club was running a summer day camp at the old bingo hall on the recreation field. Dave Rochford, the then-President of the Bristol Recreation Club, was the director of the summer camp. He was experiencing difficulties with staffing; Ray Beaver (a UVM Caring Community Program representative) and Gerrie Heuts (director of the Bristol Recreation Dept.) teamed up to support Dave’s six-week summer camp program while developing the Bristol Recreation Department and town programs for youth. Working on the summer program for the Recreation Club at the bingo hall gave Ray the idea to use the bingo hall as a teen center. The bingo hall was deteriorating and only used for the summer program at the time. With the support of the Bristol Recreation Dept., Ray approached Dave to seek use of the bingo hall as a teen center. The Recreation Club agreed, and with funding from the UVM Caring Community program and a Justice Dept. 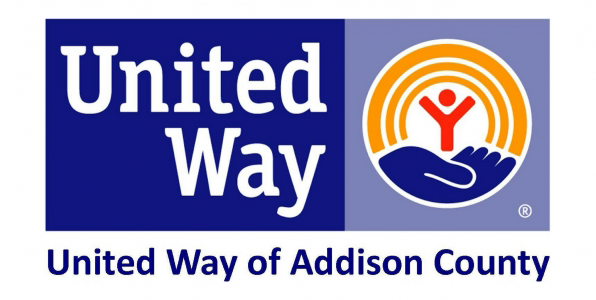 grant, and a grant from Ben & Jerry’s and the United Way of Addison County as well as community support from Martin’s Hardware, Cubber’s Pizza, Bristol Bakery, and Brown’s Welding among others, Ray began improving the building and managing ongoing teen programs. Rotten window sills and framing were replaced; windows were added; walls were framed (long hatch doors along the side of the building were removed); and a ceiling was installed, all with help from community members and volunteering teens. The upgraded but unheated building was opened as a teen center in February of 1999 with a single kerosene space heater and two sofas. At the end of the summer Dave passed away. Ray and Gerrie approached the Bristol Recreation Club leadership to seek their support to continue improving the bingo hall for use as a teen center. 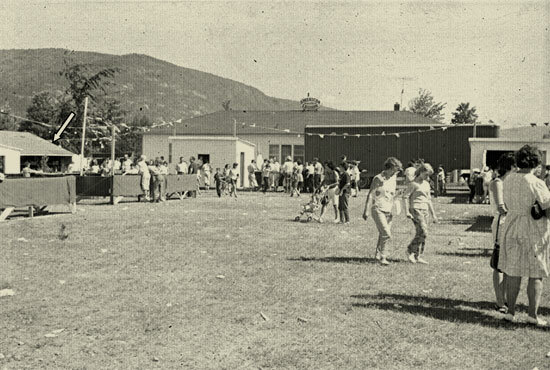 Principle Rec Club members at the time were Ken Weston, Betty Farr, and Joel Bouvier. Permission was granted to continue improving the building with the condition that the Rec Club would not contribute to the costs. The improvements made to the bingo hall in lieu of rent. The Hub became a charter member of the Vermont Coalition of Teen Centers and operated year-round in the afternoons and evenings. With Joe Mazur, a Hub volunteer and teacher, Mount Abraham’s alternative education program used the Hub space during the days. The Girl Scouts used the Hub for meetings and activities. Saturday night coffeehouses, band nights, free guitar lessons, and free pizza and movie nights were scheduled. The Hub became a home-base for Jim Dobkowski’s Outdoor Adventure Club, and food was donated by the community (including the Bristol Bakery, Grand Union, Cabot Creamery Cooperative and Cubbers). 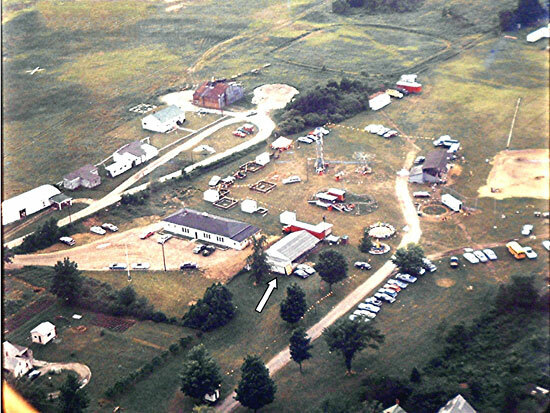 The Bristol Recreation Club eventually began having their meetings at The Hub. The Hub’s furnace was donated by the town library during a renovation. Peter Heffernan and Joe Mazur helped create a bathroom and kitchen and all-told, Ray and Gerrie raised and invested about $50,000 in the old bingo hall building. Bristol citizens voted for the first time in about 2000 to support a Recreation Department budget that included funding for The Hub and its teen programs. Ray ran The Hub until about 2002 when Ena Backus, a Hub staff person, took over his position. Before Ray left the Hub, he oversaw construction of the first phase of the skatepark which was home to many teens who became professional competitive skaters and snowboarders like Yale Cousino, Ben Sulo, and Chris Rotax. Skateboarding was an important pastime for local teens, and with volunteer Phil Laframboise the Hub skatepark and skate programs (like field trips to other skateparks and summer skate camps) were active. Food donated by local businesses and the Vermont Food Bank allowed The Hub to offer daily meals to teens that included soups, chili, burritos, hot dogs and hamburgers, and more. Since 2008 a community garden was installed to the west of the building and skatepark with flowers, vegetables, and herbs. 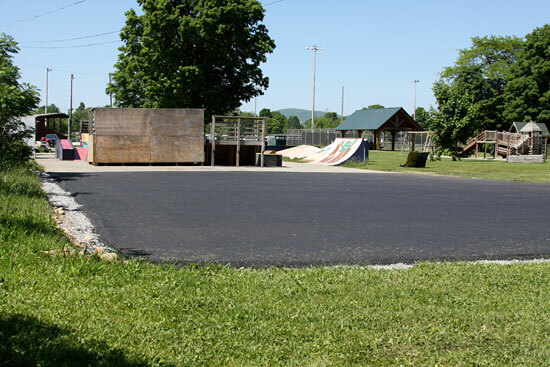 The skatepark was expanded toward VT Rte. 116 and ramps were donated to it by the Town of Hinesburg. Drainage was improved around the perimeter of the building to prevent it from flooding during rain storms. Outdoor picnic tables were donated by the Farmhouse Tap & Grill as they took over the old McDonald’s restaurant space in Burlington. A wind breaking swale was created on the front yard (east side of the building) with dirt removed during the construction of the skatepark expansion. Outdoor lights were donated by a development company in Burlington, coming from a structure they tore down to build a new office building at the corner of Battery Street and King Street near Lake Champlain. The interior of the building was renovated in the last three years, with the interior ceiling being raised, electricity improved for a performance stage, stage lighting donated by the University of Vermont Theater dept. was installed, and good insulation was added. Volunteer groups and teens planted many perennial flowers around the building and the swale, painted the main building purple, and repurposed a distressed log cabin shelter from the children’s play area to the garden area, repaired it, and used it as a garden shed. 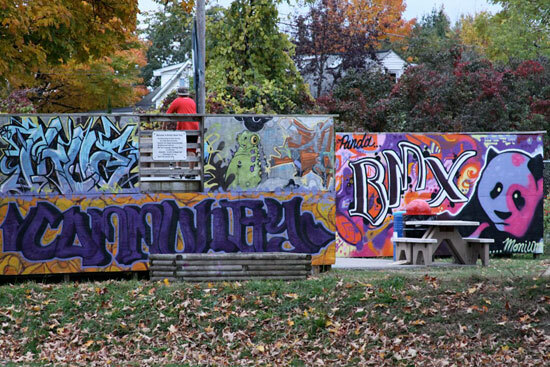 Skate ramps were enclosed and with support from the Vermont Arts Council, murals were painted on them all over the skatepark. Most recently, a special surface was applied to the skatepark asphalt to make it smoother and safer; it’s a purple-blue color, and the rest of the skatepark was painted to match. In late 2011 a main water supply to the Hub was replaced, and directed so that it didn’t travel under the parking area, where frost would be forced downward and freeze the pipe. The Hub has more than 400 individual teens visit it each year, with 20-50 teens stopping in each day on average. The skatepark has become an important recreational destination for regional youth. It hosts an annual skateboard competition and live music concerts.